Working on ladders, especially tall ladders that lead to a roof, is extremely dangerous work. While many people who do this type of work take safety for granted and do not worry too much about falling, it happens all the time. Not only do workers fall off ladders and roofs all the time, these fall accidents often result in serious injury or death. As for serious injury, there are not only cases with broken arms and legs, but also many cases where a worker will suffer a spinal cord injury that results in permanent paralysis. 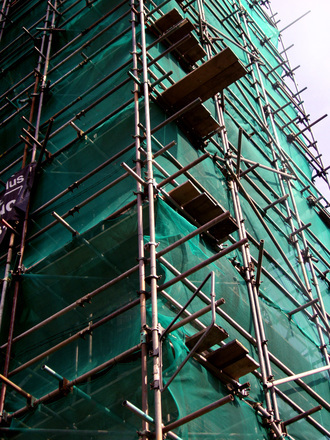 There are also many cases where a worker who falls of a ladder or roof will suffer a serious head injury that results in permanent brain damage. Any of these accidents can seriously affect a worker’s quality of life in a negative manner and can also have devastating and life-changing consequences for family members. There are also many cases where falling from a high ladder or roof results in death. 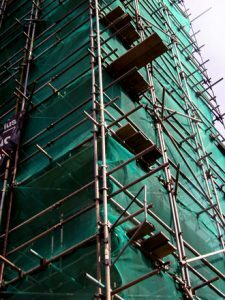 According to a recent news article from the Waltham Patch, a man in the greater Boston area fell off a ladder on which he was working and died as a result of his workplace accident. He fell around 20 feet to the ground, and witnesses called 911. When first responders arrived on the scene, they did what they could to stabilize his condition before rushing him to a level-one trauma center. Ultimately, his injuries proved too severe, and he was soon pronounced dead. The U.S. Occupational Safety and Health Administration (OSHA) arrived on the scene shortly after the fatal workplace accident, so they could begin conducting a full investigation. The agency has jurisdiction to conduct an investigation to determine if any safety regulations were violated and if those violations contributed to the accident. OSHA can issue fines and warnings regardless of whether or not those violations contributed to an accident. However, it should be noted that just because OSHA has been called to the scene does not mean any violations will be found. The agency is required to investigate any fatal workplace or industrial accident. It should also be noted that if any violations are found, the employer can deny liability and appeal the findings. One thing that you can discuss with your Boston workplace accident attorney is that it is not necessary to prove any fault on behalf of your employer to collect workers’ compensation benefits. The reason for this is because, under the Massachusetts Workers’ Compensation Act, the workers’ compensation system was set up in a no-fault manner. This means it is only necessary to establish that a worker is actually an employee within the meaning of the act and that the injury occurred on the job. These two requirements are often fairly simple to establish, but that is not always the case, because some unscrupulous employers or more likely insurance companies will try to avoid paying clearly valid claims. The best thing you can do in this situation is speak with an experienced Boston workers’ compensation attorney who will fight for your right to a full and appropriate financial recovery.